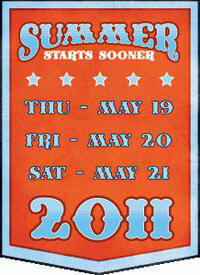 Tag Archive | "Seaside Music Festival"
What if someone handed you a free, three-day pass to see more than 120 live musical acts? Would you fear you’d ingested a hallucinogen by mistake? Would you think you’d fallen into a time warp and landed smack in the muddy, rockin’ fields of Woodstock? If so, you’d be wrong on both counts. The free pass is legit, courtesy of the Seaside Music Festival. 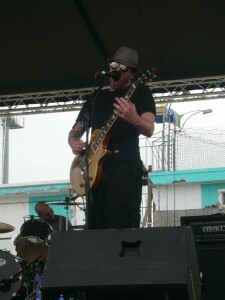 On May 19, 2011, the party jump-starts at Seaside Heights, New Jersey and runs through May 21st. Since its launch four years ago to positive reviews, artists and patrons alike have embraced the event, and no wonder. It serves up independent bands from across the nation — a rich stew of genres, including rock, pop, folk, and alternative music — and provides unique networking opportunities for artists and songwriters. A sampling of this year’s line up, hosted by 94.3 (“The Point”), features Against the Tide, Scantily Clad, Speedwheel, Bobby Strange, Divine Sign, Earthman, The Grifters, Victims of Experience, and numerous other acts. 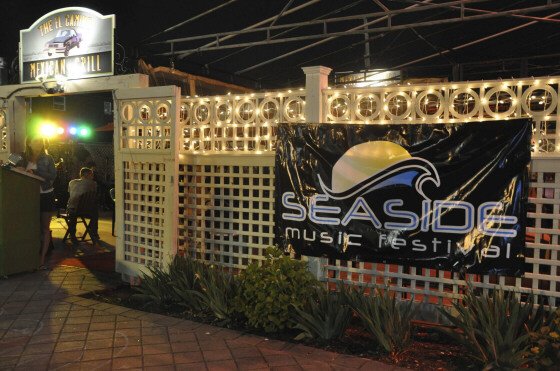 The headliners and special guests of the Seaside Music Festival will take to outdoor stages as well as indoor eateries and clubs, such as Jimbo’s Bar & Grill, Klee’s, The Aztec Ocean Resort, and The Beachcomber. But music, food, and ice-cold beer aren’t the only draws for those who want to kick back. The Jersey shore is long famed for its special attractions, and there are plenty on hand at the festival, including surfing, wakeboarding lessons, car shows and of course, amusement rides. Those who love to shop can stroll through the boardwalk’s Vendors Village, perusing a plethora of wares. If you can’t wait to smell the heady perfume of tangy sea and sweet cotton candy, if you long to broaden your musical range beyond the limited menu of commercial radio, and if you want to do it all for free, be there: Seaside Heights, New Jersey, May 19th through the 21st.